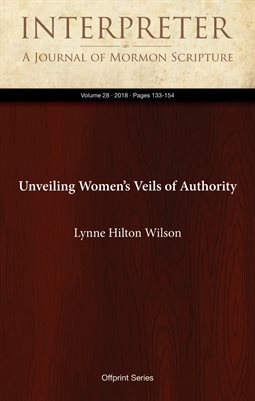 The Apostle Paul’s theological explanation for female veil wearing (1 Corinthians 11:2–13) highlights the woman’s head covering as an expression of female empowerment or “authority/exousia.” Rather than merely restating the dress code for certain prayers, Paul laid out the doctrinal background underlying the imagery. Paul taught that God’s glory (referring to man) should pray unveiled, and by the same token, humanity’s glory (referring to woman) should address God with her head covered (1 Corinthians 11:7). By covering her head, female saints received “power on her head” and could interacted with angels (1 Corinthians 11:10). Paul concluded by emphasizing that men and women are completely interdependent — woman was created from man, while man is born of woman (1 Corinthians 11:11–12). In this regard we see an equal status between men and women in their relationship with the Lord. Their relationship focuses on their union with each other and God.